In England we tend to leave Santa a sherry or a brandy and a mince pie. I’ve heard that in some Scandinavian countries he gets ‘treated’ to porridge…lucky guy. 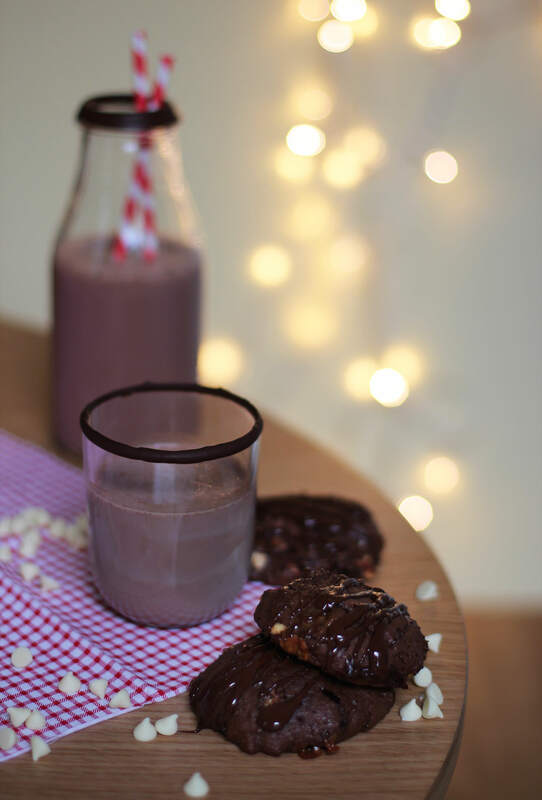 Well this post is a nod to our North American friends from whom Santa receives milk and cookies. I decided to jazz up the traditional a little, after all, you hard working parents deserve a little more than a glass of milk on the 24th. I should start off by saying that the recipe leans more towards a sort of whoopie pie consistency than a cookie, a whookie if you’d like. Perhaps if you wanted to commit to whoopie pies you could sandwich them with the salted caramel buttercream I made a couple of months back. 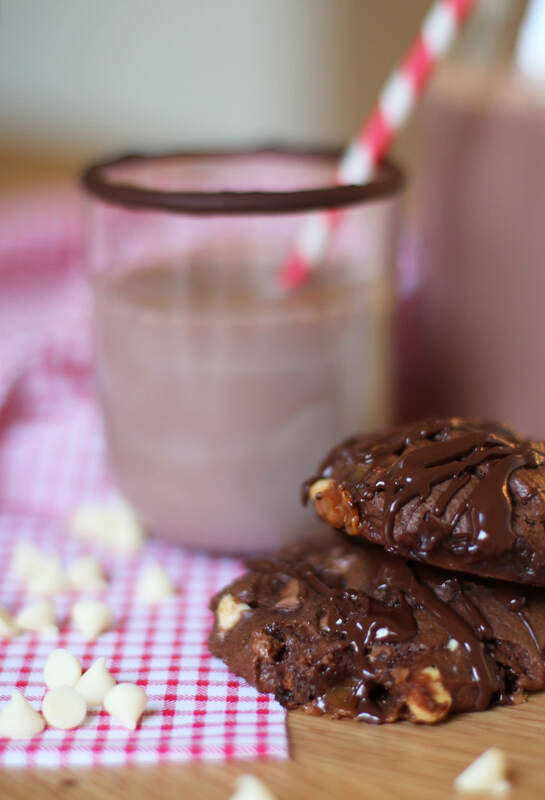 Without further ado here’s an easy Bailey’s (Irish cream) cocktail (which is more like a pudding really) and triple chocolate Mars Bar whookies. 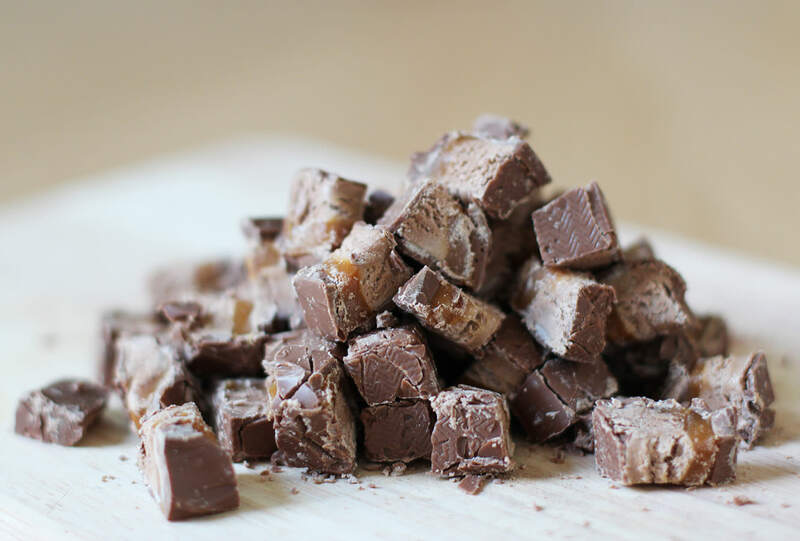 Chop the Mars bars into small chunks. If you, like me, can’t control yourself around chocolate, you might want to add an extra one to the mix. There’s just something about chopped up Mars bar that is excessively moorish. 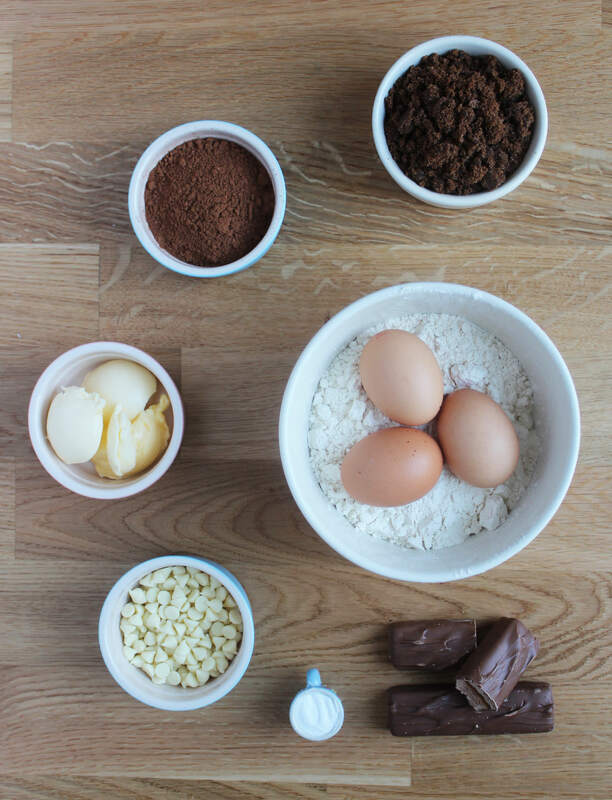 Combine all the dry ingredients (minus the chocolate) in a large bowl. Make a well in the middle and add the eggs, milk and butter. Stir to combine. Ideally your butter will be room temperature, otherwise you’ll be mixing for a while. Add the white chocolate and Mars bar and mix again until the chips and chunks are evenly distributed. 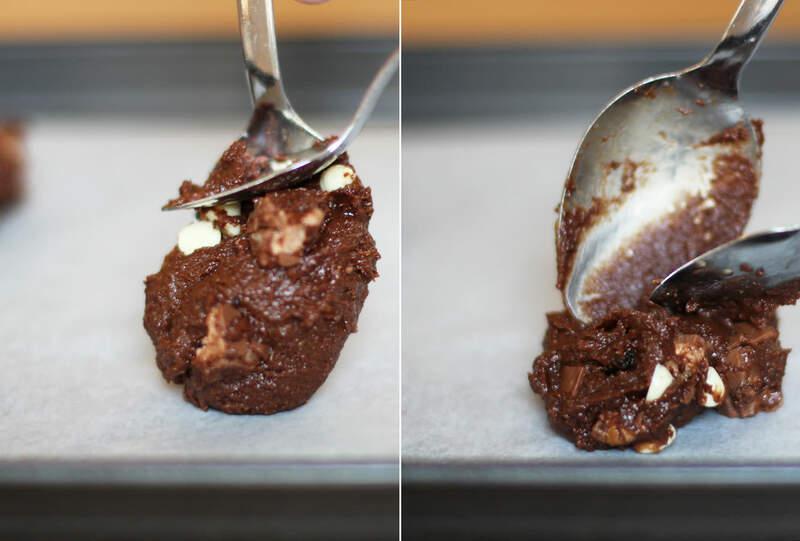 Drop dessert spoonfuls of the mixture onto baking trays lined with greaseproof paper. They won’t spread too much so flatten down a bit. Bake on 180C/gas mark 4/350 F for about 15-20 minutes. Leave to cool and then melt the dark chocolate and drizzle over the top. 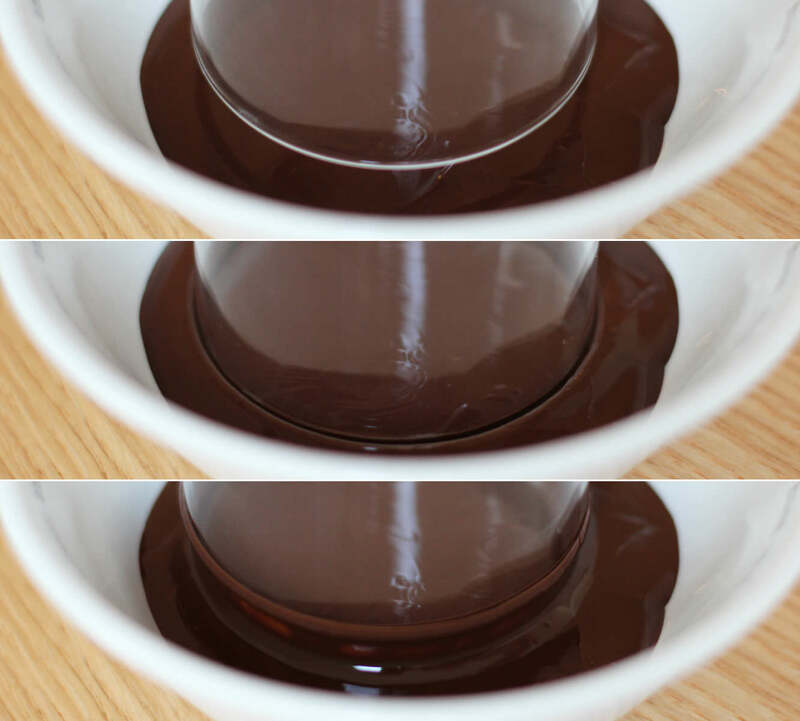 Melt the remaining dark chocolate in a small bowl and dip your glasses in to coat the rim. Add a shot of Baileys (and a dash of rum if you have it). A sprinkle of both cinnamon and nutmeg. Top up with approx 150ml of chocolate milk. As you can probably tell, I didn’t exactly measure this one out, so go with your taste as a measure.